We were able to board the Michelangelo at 6:00pm last night. Our home for the rest of the week is very nice, and our room is very comfortable. What we expected was a hotel on water. What we got was a real, bona fide cruise. Last night we were seated for dinner at the table where we will have all our meals, along with the two other couples who will be our table companions for every meal. Fortunately, they are all very nice, and they only speak French, so we won’t have to worry about our French getting rusty while we are in Italy. 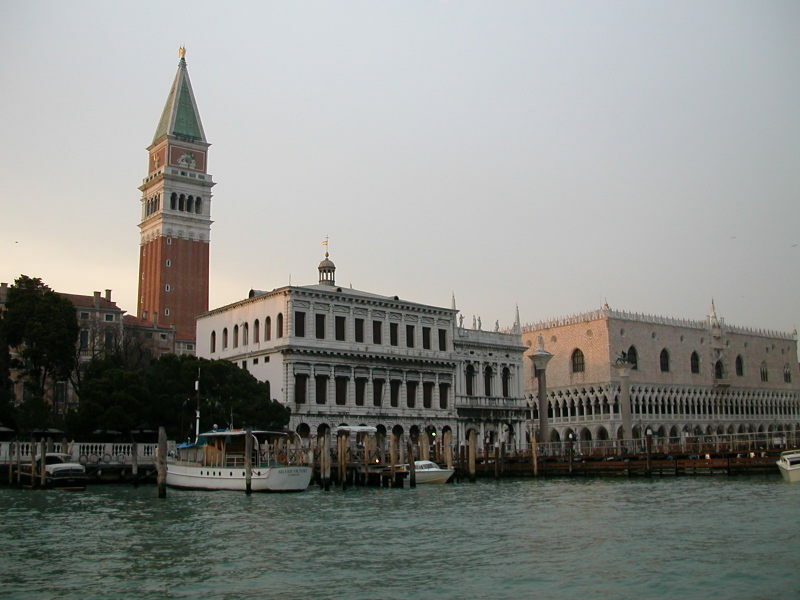 After a morning cruise in the Venice Lagoon, the Michelangelo settled in not far from Piazza San Marco, where we spent the afternoon visiting the Basilica di San Marco and the Palazzo Ducale (Doge’s Palace). 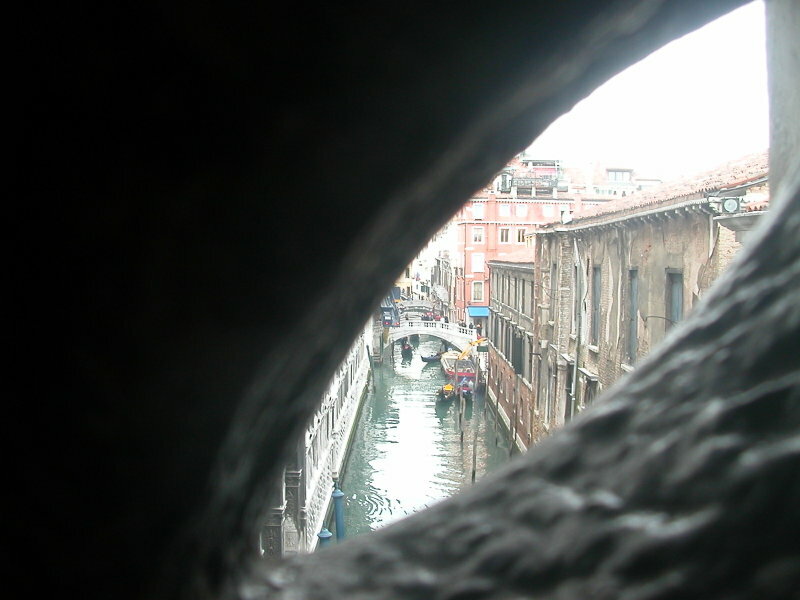 We walked across The Bridge of Sighs, which links the Palazzo Ducale with the prison, and was so named because the prisoners would get their last glimpse (pictured below) of the outside world as they walked across to be locked up.